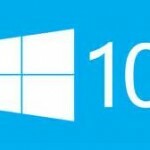 This post is a bit of topic for my frequent readers but I wanted to share some insights on my Windows 10 installation adventure, because I think more people will run into this. On the plus side: it all worked out in the end, and everything is awesome! Just in case you are wondering, I’m writing this post using the new Microsoft Edge browser that comes with Windows 10! When entering the network settings the machine tells me there are no wireless devices detected on the PC. However, the device manager tells me there is a connector and it’s working fine. What gives? I spend the next hour looking for any other person with the same issue and then I hit this post on the Windows forums. And it holds the solution, at least for me it did. Seems that, when you have a Cisco VPN client installed on your Surface device, the installation will screw up your WiFi and Bluetooth. Write this blog after seeing my WiFi pop up! Hope you like this short post, please let me know if you ran into any issues or if this post helped you out in any way. I have also found that “Asphalt 8: airborn” will disrupt your wifi/bluetooth. Time of writing this: 08-08-2015, of course this might be resolved in the future for all you race fans out thare. I am a Program Manager at Microsoft. Thanx for reporting this issue. I just posted another workaround for this issue which only impacts older cisco VPN clients. Hello Aman Arneja, great to see Microsoft reaching out! Hope I’ll be able to use the Cisco VPN tools again soon, I’ll try this today and post about progress. 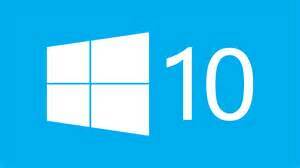 What is your favourite Windows 10 feature so far? I’m a bit sad that I live in The Netherlands now. The most noteworthy features (in my opinion) are Cortana and the new log-in method with face recognition, aren’t available yet in my region. But I do love the speed and the feel of the new browser Edge. And the lay-out and overall look and feel of Windows 10 are very futuristic :-). Great that you started following me, I’ll get you set up for the “Members OneDrive folder” as soon as I can find your e-mail.